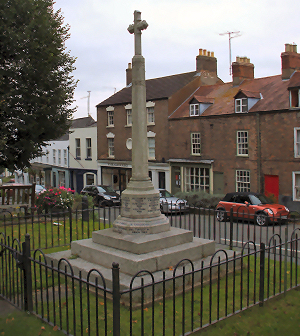 The War Memorial is located in the High street in Newnham on Severn, Gloucestershire. The memorial is located on the south wall within the church of St. Peter, Newnham on Severn, Gloucestershire, UK. It consists of two framed Rolls of Honour, one for 1914-1918 and one for 1939-1945. Roll of Honour record taken in January 2000 by John Hyde. War Memorial information and photographs supplied by Alf Beard.